When I started Partners in Health Care, Naturally in 1999, I envisioned an integrative medical clinic where a team of dedicated professionals literally “partnered” with patients on their healing journeys, providing individualized family health care in a professional and nurturing environment. I’m happy to say that vision has been a reality now for almost 20 years. At Partners in Health Care, Naturally, we specialize in diagnosing and treating the underlying causes of illness rather than just treating the symptoms, and provide a wide array of diagnostic and treatment options which combine the best of modern medical science with the most innovative and effective therapies in naturopathic medicine. These include: herbal/botanical medicines, homeopathy, Chinese medicine and acupuncture, colon hydrotherapy, and dietary recommendations and specific nutrient therapies, as well as pharmaceuticals and IV therapies. Partners in Health Care, Naturally, is a successful, integrative medical practice. It’s in a small town, it was started through grassroots efforts, and it was founded by someone who wrote a book (I recently finished a book about my near-death experience and how I subsequently became a doctor). 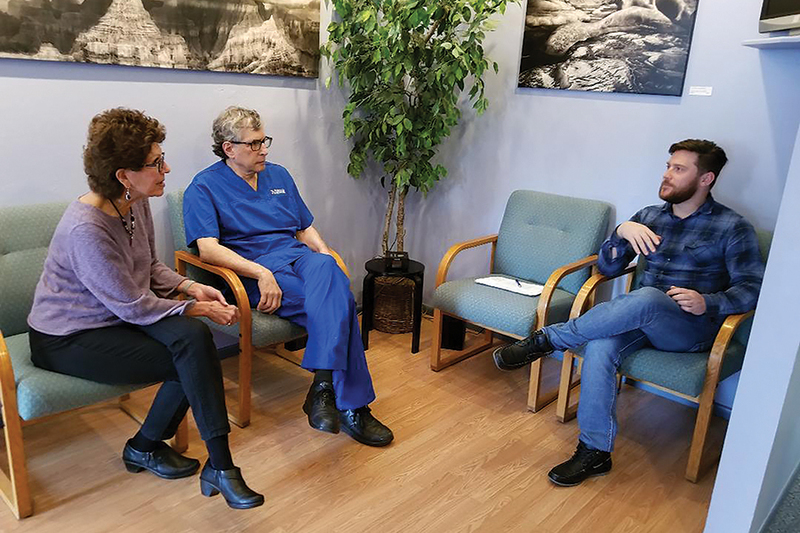 A crew came to the clinic to film us in action, and the segment includes interviews with some of our doctors and patients, including one who is a cancer survivor and is now helping others through her work as a health coach. The six-minute segment is set to air over 400 times on several channels, including CNN, Fox, Fox Business, and PBS. The “Success Files with Rob Lowe” team did a marvelous job of highlighting the patient-centered approach of naturopathic and integrative medicine, and how that therapeutic partnership plays such an important part in the nurturance of health and well-being. We at Partners in Health Care, Naturally, are very proud and grateful to have had the opportunity to represent that ideal, and to be a part of the thriving and innovative Prescott business community.